Acupuncture for high blood pressure has been used successfully for thousands of years in the treatment to help lower blood pressure and heal the body. It is one of the primary tools in traditional Chinese medicine. In the early 19th century British doctor used acupuncture to treat pain and fevers but its use diminished with the appearance of aspirin in 1899. What I found of great interest is that the first recorded therapeutic success using acupuncture dates from about 400 - 300 B.C.E. when a Chinese physician, Pein Chueh, revived a dying patient from a coma. So you see this confirms the therapeutic power of an acupuncture therapy. For me I think because I also receive these treatments of acupuncture every two weeks, which includes the insertion of needles, cupping and moxibustion has contributed to my quality of life and the control of my high blood pressure. Acupuncture is an ancient Chinese therapy. It involves the insertion of fine hair-like needles into specific points along a series of lines known as meridians. These insertions restore and balance the body's energy achieving harmony. It treats all manner of illness and to me very effective in healing the body with no side effects than many medications. Acupuncture is useful in the treatment of high blood pressure, pain, allergies, anxiety, digestive and bowel problems, insomnia and stress. There is an energy force running throughout your body. This energy force is known as Qi. Qi travels throughout our bodies along meridians or special pathways on both sides of the body. This Qi consists of all your essential life activities which include the spiritual, mental, emotional and the physical aspects of your body. Your health is influenced by the flow of Qi in combination with the universal forces of life that we all know as Yin and Yang. Yin and Yang are opposite forces that when balanced works to lower blood pressure. Yin is the female attributes and Yang is the male attributes. If the flow of your Qi is unbalanced or blocked illness may occur. Acupuncture points are specific locations on the body where the meridians come to the surface of the skin and are easily accessible by needling. Exact placements of these needles are determined by auscultation and olfaction, inspection, inquiring and palpation. Auscultation and olfaction refers to listening for particular sounds such as wheezing and the scent of your body. Inspection focuses on the face, the tongue to see if the tongue is swollen, the color and coating and the absence of presence of teeth marks around the edge. Inquiring focuses on chills and fever, thirst and taste, urination, pain, sleep and other body indications of unbalanced energy. Palpation includes feeling your body for tender points, and feeling for the pulse on your wrist. My acupuncturist, Maria Antonopoulos, who I highly recommend, thoroughly checks pulse, tongue, eyes and asks specific questions and listens attentively, so that she'll be able to treat effectively. And, what I like most about her is that if she is unable to help or thinks you need additional medical treatment, she is not afraid to help you choose the right medical treatment for your ailment. Before inserting the needles, the acupuncturist slide her fingers down a specific area searching for your pulse or meridians that coincide with the treatment of your specific ailment. The needles open up the blocked meridian or qi and allow energy to flow freely into these areas so that healing can occur. Acupuncture for high blood pressure facilitate the flow of oxygen rich blood, to remove muscle obstructions and relaxes the nervous system thereby lowering your blood pressure. 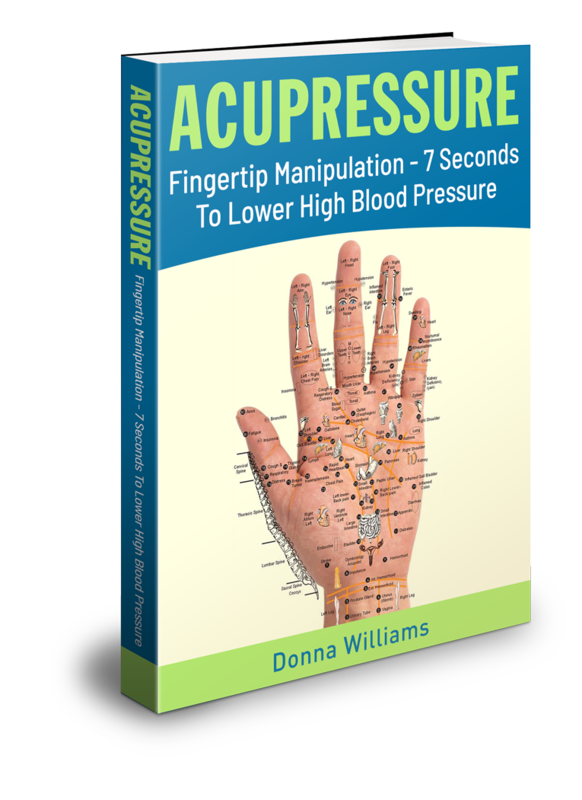 Also acupressure is another alternative treatment that can be used to lower your high blood pressure in an emergency. Licensed acupuncturists can dramatically increase the effectiveness of acupuncture by using essential oils. Begin by placing several drops of essential oil into the palm of their hand then dip the acupuncture needle tip into the oil before inserting it. Throughout the years I have used acupuncture to help with the lowering of my blood pressure and to maintain my overall health. In my using acupuncture for high blood pressure the acupuncturist inserts needles into both my ear to access the meridians that corresponds to high blood pressure. 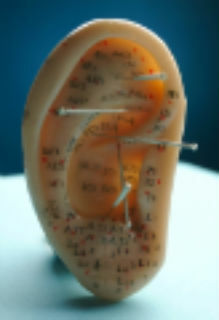 The ear I am told has many acupuncture points that correspond to many parts and organs of your body. Acupuncture is said to restore the body's balance. While acupuncture for high blood pressure is not a cure-all, it is a comprehensive medical system that can address many health problems. And, used effectively in conjunction with western medicine. Return to "High Blood Pressure Treatments" from "Acupuncture for high blood pressure".